HOUSTON, Texas -- Longtime U.S. Rep. John Conyers' youngest son, Carl, has been found safe after he was reported missing this week. 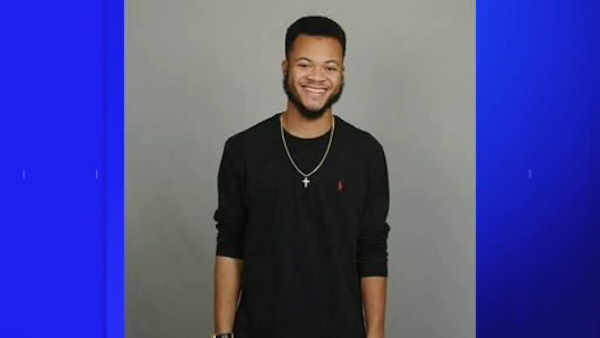 Carl Conyers, a 21-year-old student at the University of Houston, was found at 2:20 a.m. Friday, according to Houston Police department officer Kese Smith. He last seen Tuesday by his roommate, police said. Carl Conyers is being interviewed right now in downtown Houston. One sergeant said he liked a tweet and that led to him. His girlfriend, Daisha Lewis, told WWJ Newsradio 950 in Detroit that she was supposed to meet him on campus Wednesday, but that he never showed. When she and friends checked his apartment they found some clothes and other items missing. Smith said the department worked with the FBI and Secret Service to find the student. The Secret Service was involved because Conyers is the son of a congressman. John Conyers, who was first elected to Congress in 1964 and is its longest-serving member, said his wife, Monica, is in Texas awaiting any developments in the search. A spokeswoman for the congressman issued a statement saying the family asks for privacy "as they work through this situation of uncertainty." Carl Conyers' roommate, Chet Ball, suggested when Conyers disappeared that he may have been overwhelmed by his studies. "School can be hard on a person," Ball told reporters outside of their apartment. "Stress is very serious." Corey Gentry, a friend and schoolmate of Conyers, told the Houston Chronicle that Conyers is active on campus, as president of the school's Black Business Students Association and a member of an arts group called Uncommon Colors.